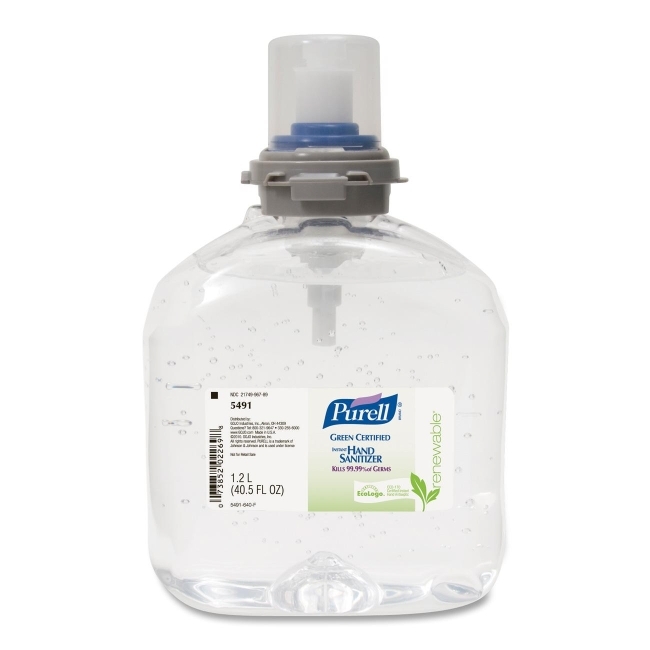 Gel Instant Hand Sanitizer Refill is designed for use in PURELL TFX Dispensers. Green Certified gel sanitizer kills 99.99 percent of germs that may cause illness and helps condition skin with a natural moisturizer. Formula is fragrance-free and dye-free. Refill bottle holds 1200 ml. of product, snaps securely into place with an audible click, and includes a fresh dispensing valve. Sanitary-sealed, collapsible-bottle refill keeps germs out. This lightweight, recyclable PET bottle is made with 30 percent less material and the same durability as a standard, rigid HDPE bottle.